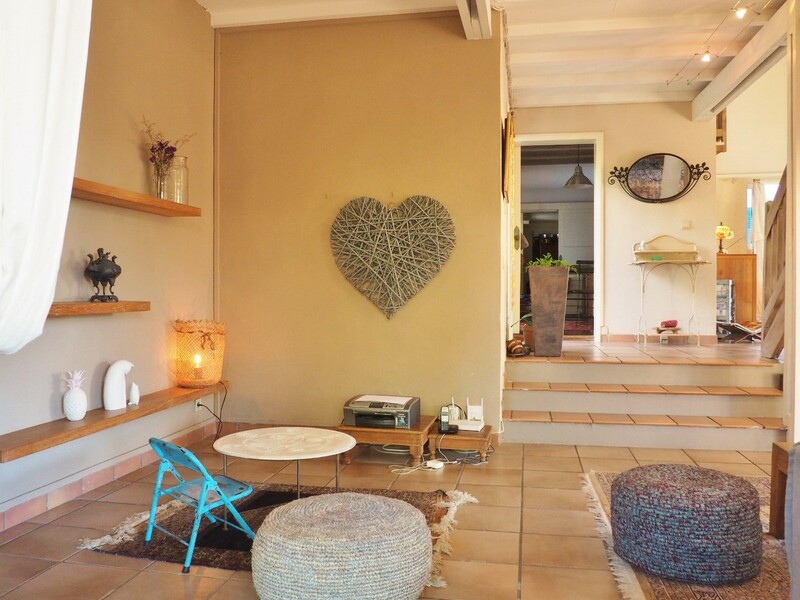 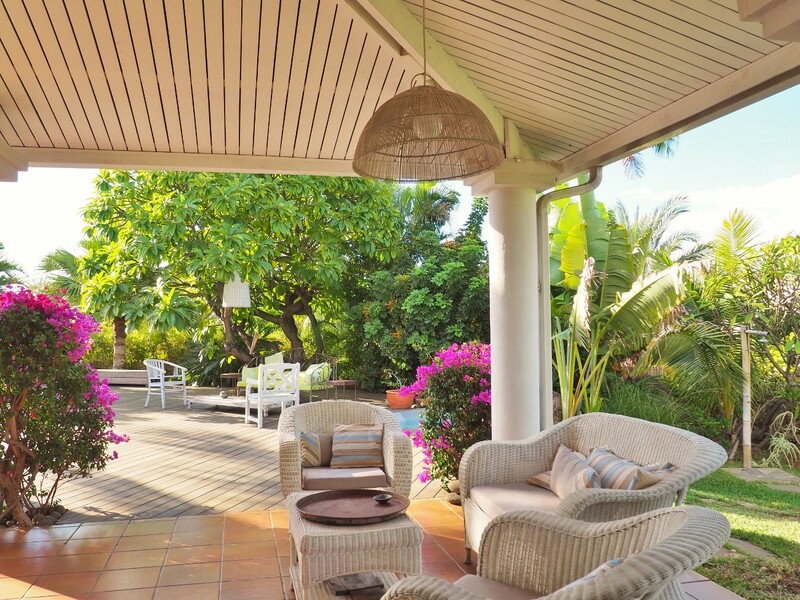 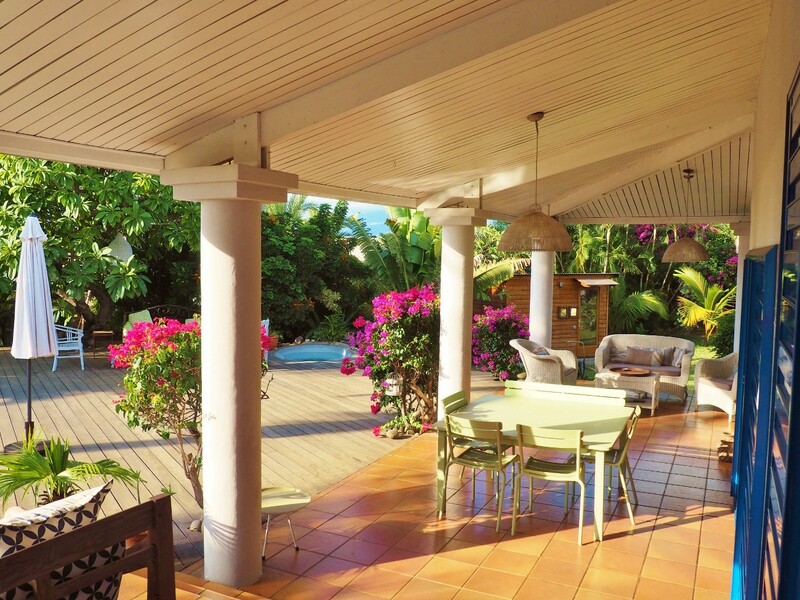 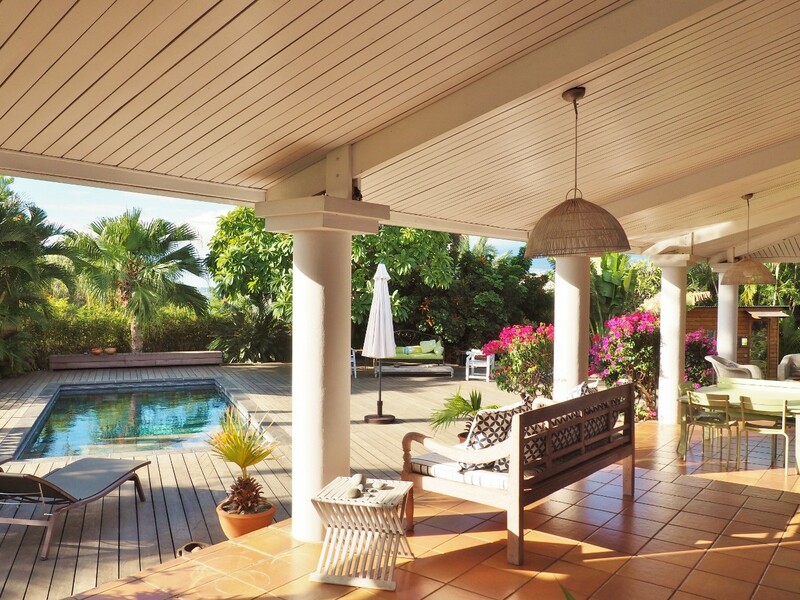 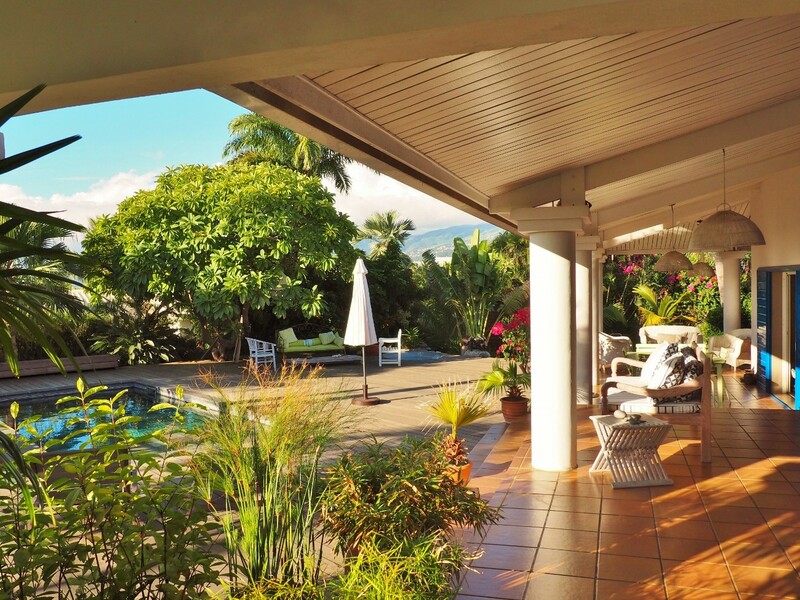 Lovely vacation rental with 4 bedrooms, the villa Serenity offers you a magnificent setting. 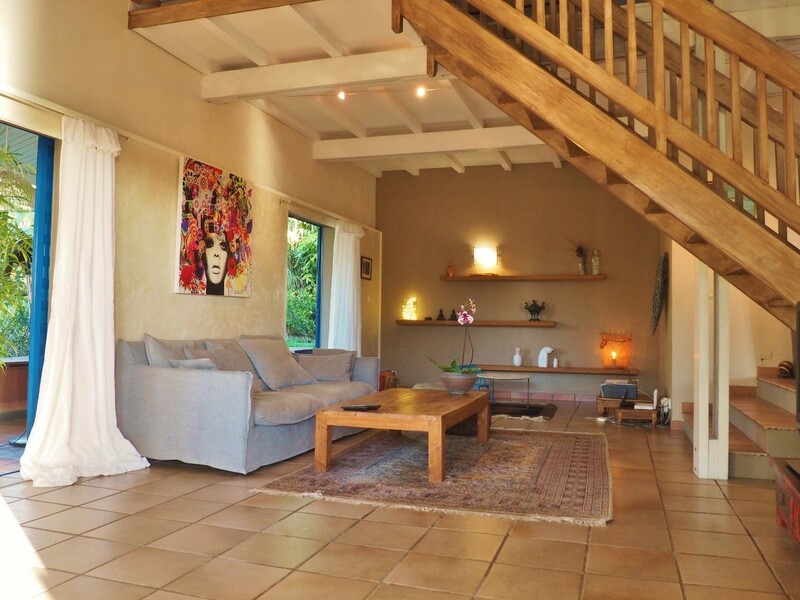 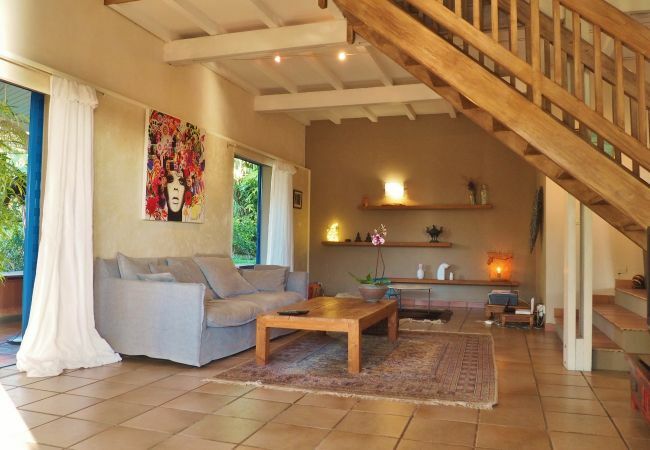 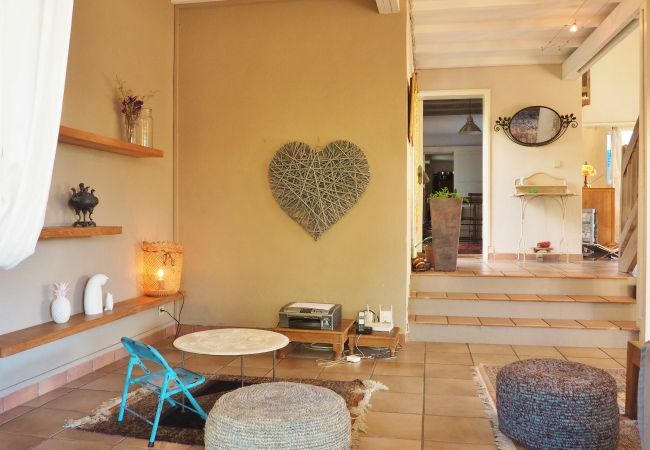 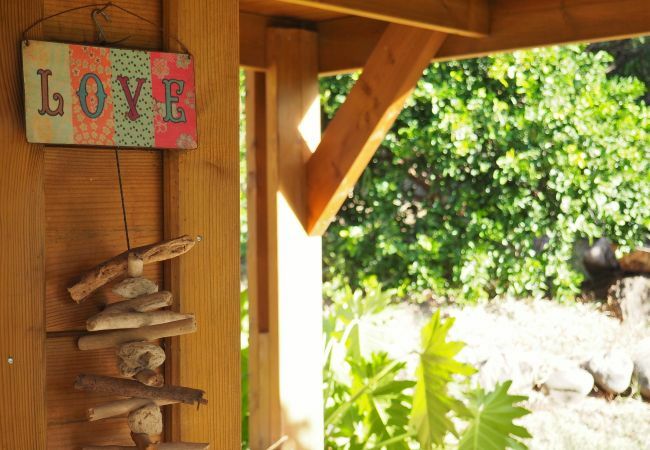 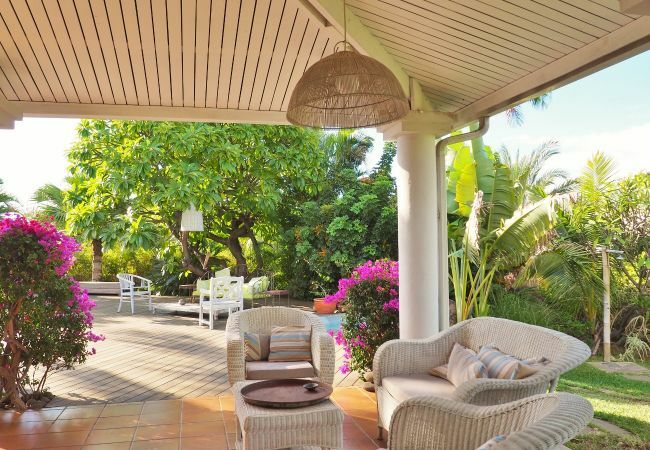 The villa is aptly named and you will be delighted by the serenity and the charm in this wonderful house. 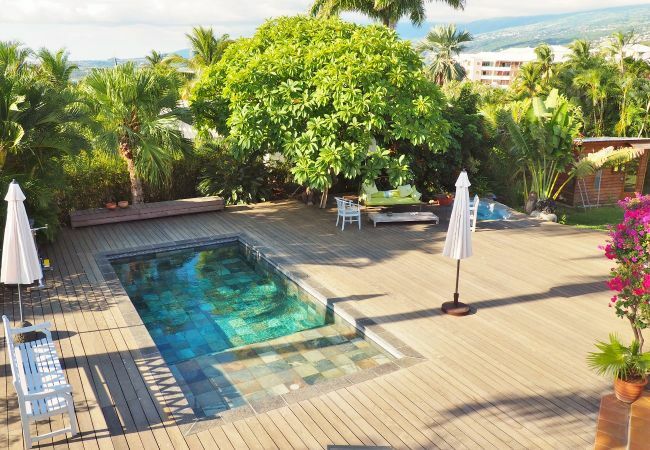 You will enjoy the heated pool built with natural stones, the hot tub, the sauna, the garden with tropical trees, and the beautiful terrace (100 sqm) for your lunches and your cocktails with family or friends. 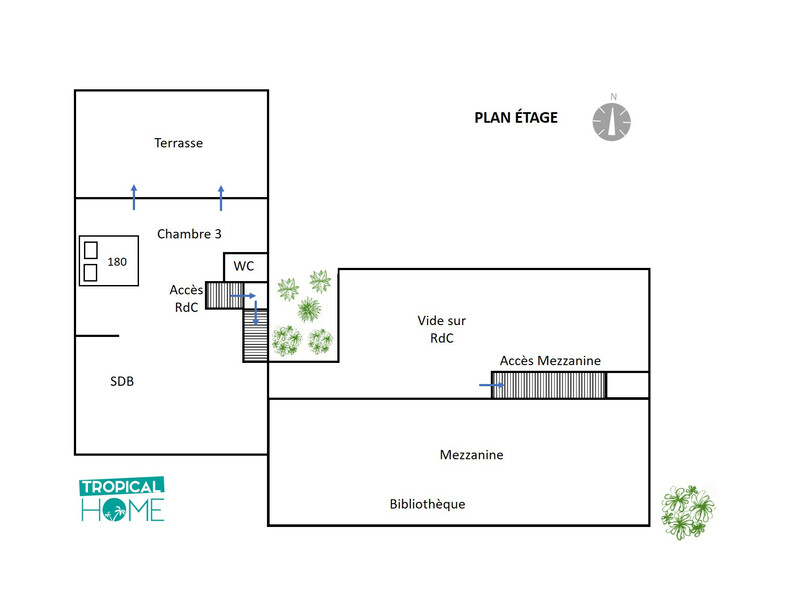 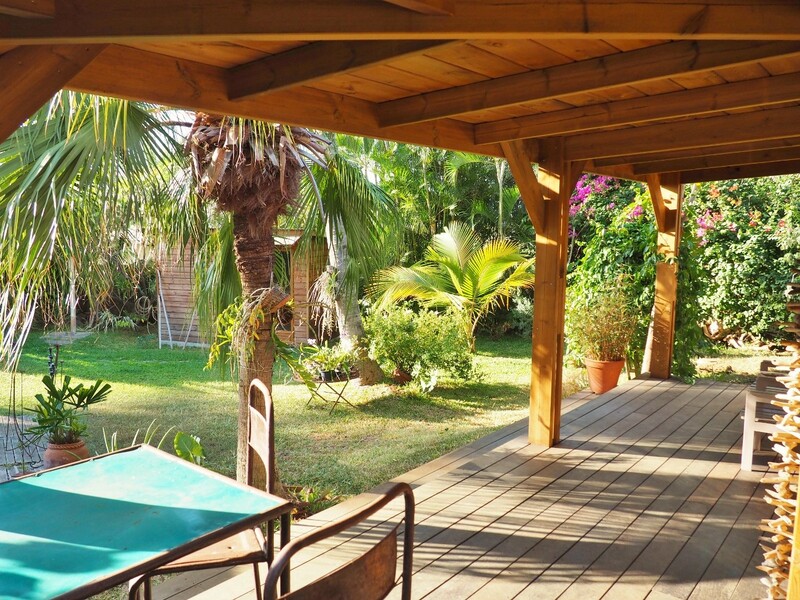 There are the villa (235 sqm with 3 bedrooms) and a bungalow (25 sqm with 1 bedroom). 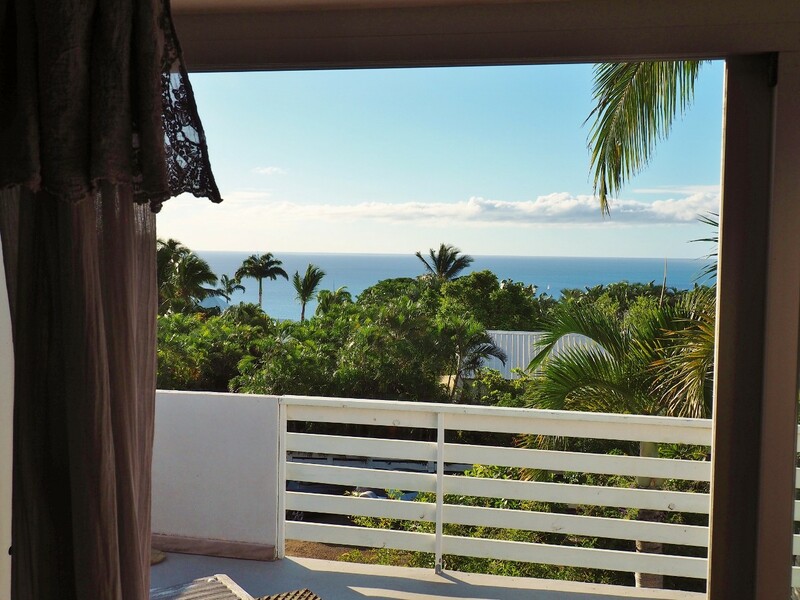 Upstairs, the view on the Indian Ocean is magical. 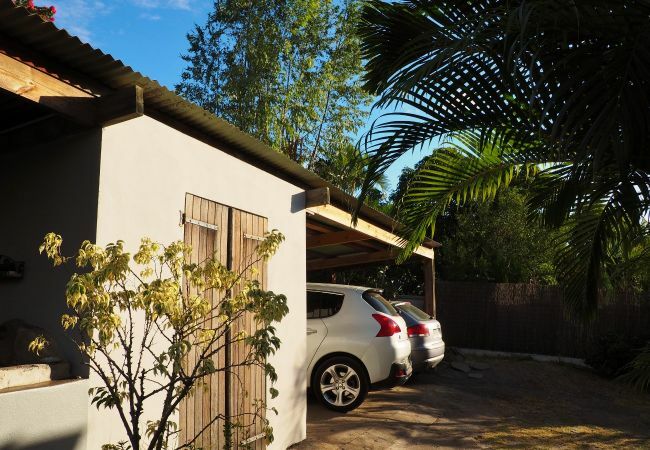 The villa is secured (fence + automatic gate), and has a covered garage for two cars. 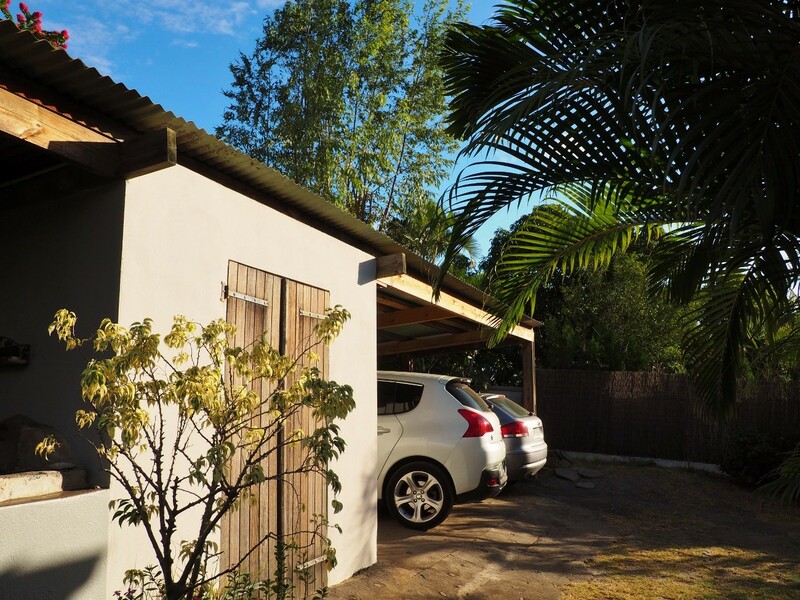 Outdoor parking if needed. 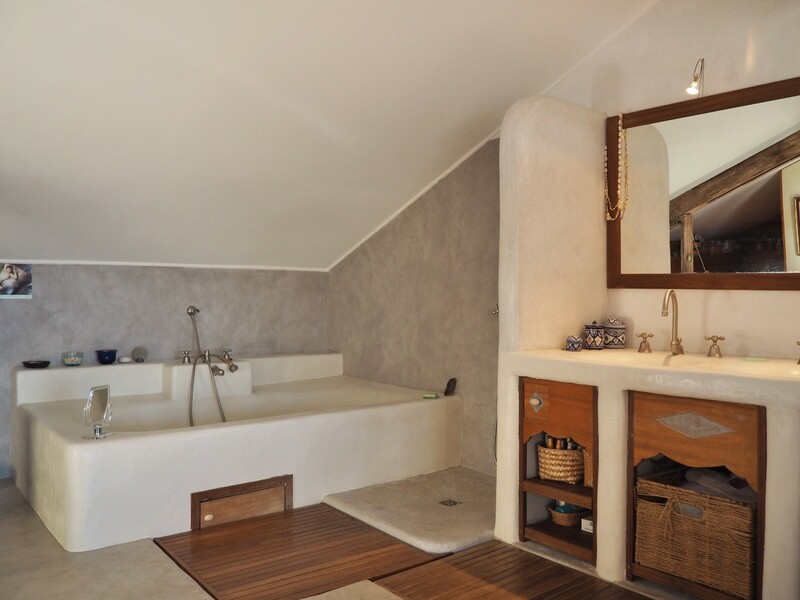 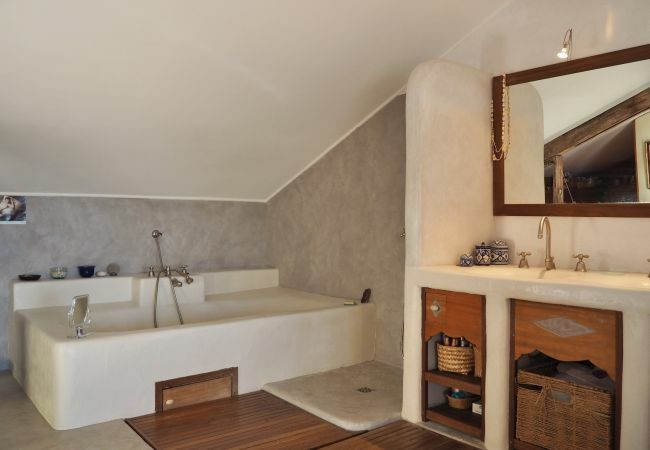 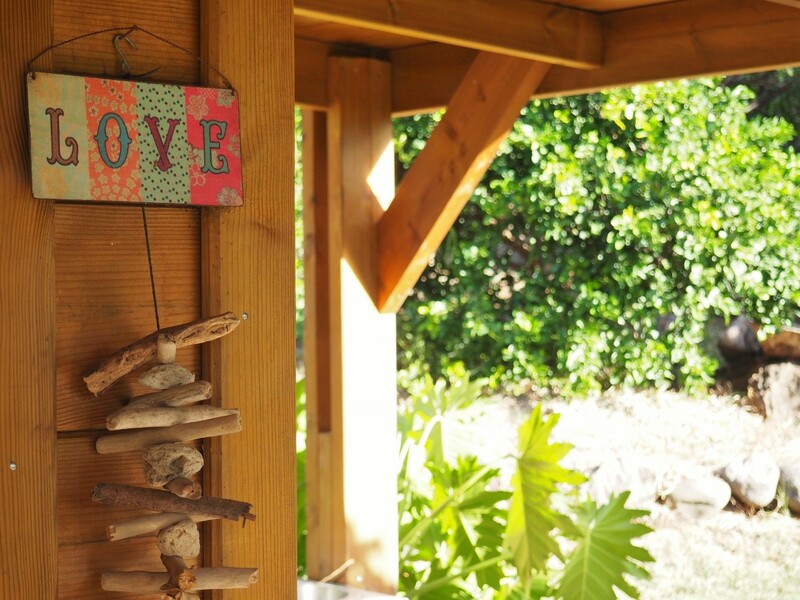 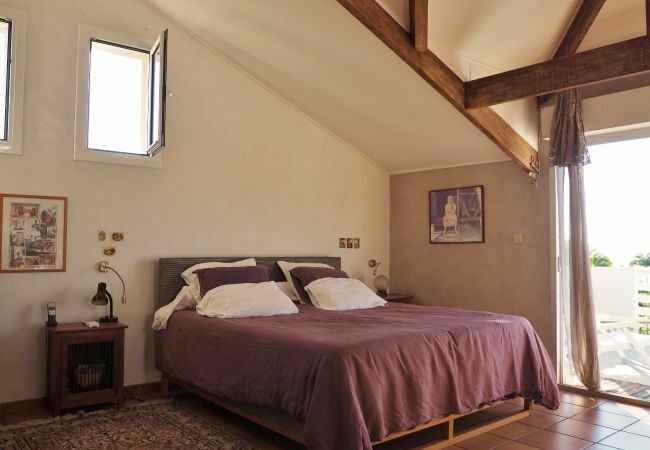 On two levels with a refined decoration, the villa has 3 air-conditioned bedrooms and 2 bathrooms. 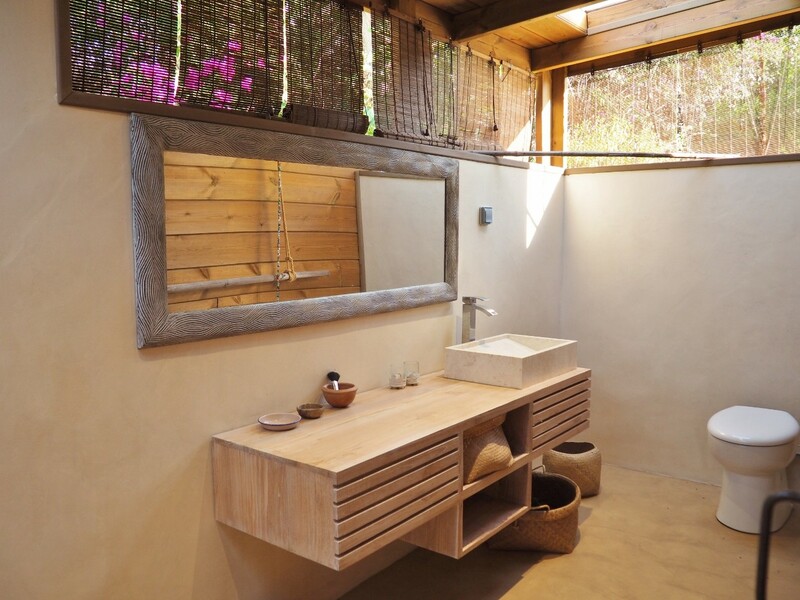 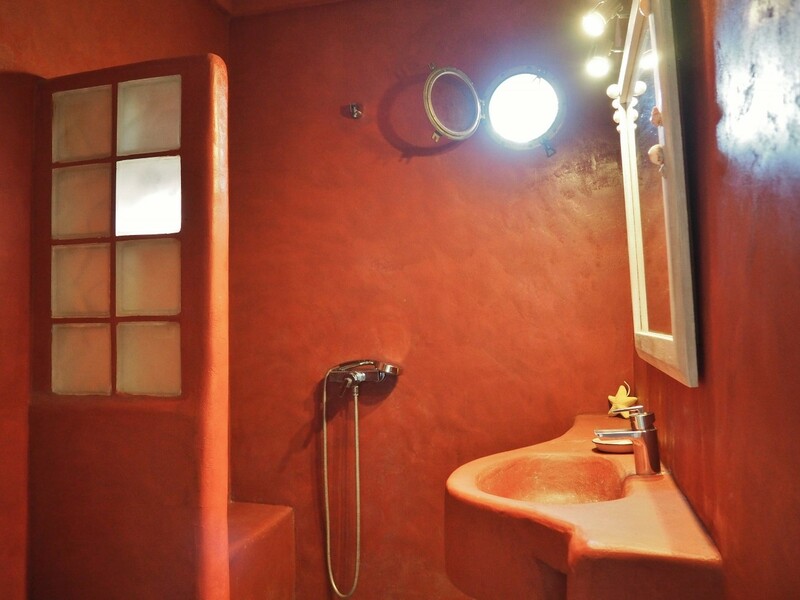 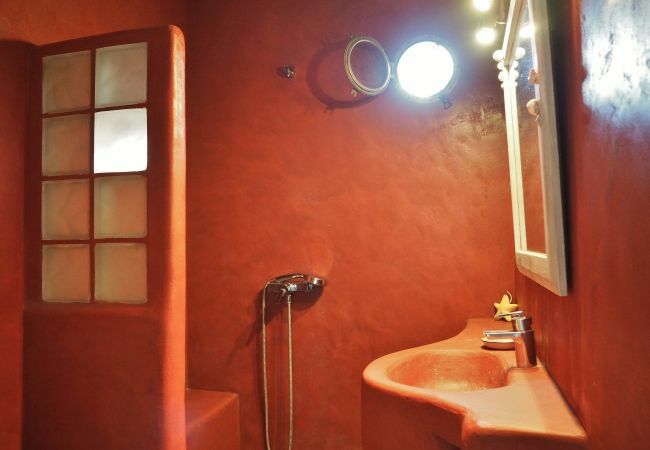 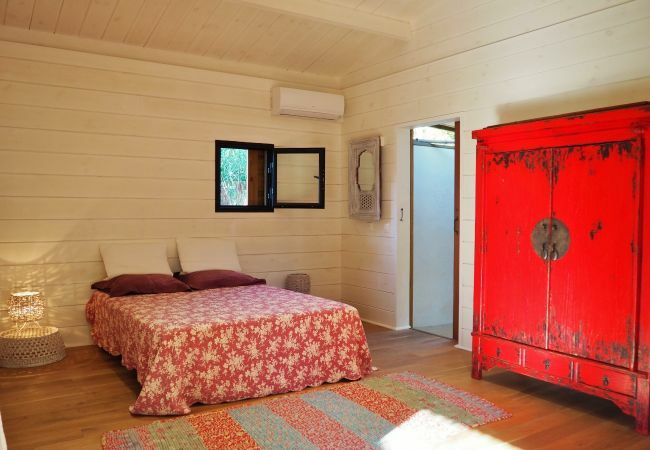 In the bungalow, there are an air-conditioned bedroom and a bathroom with toilets. 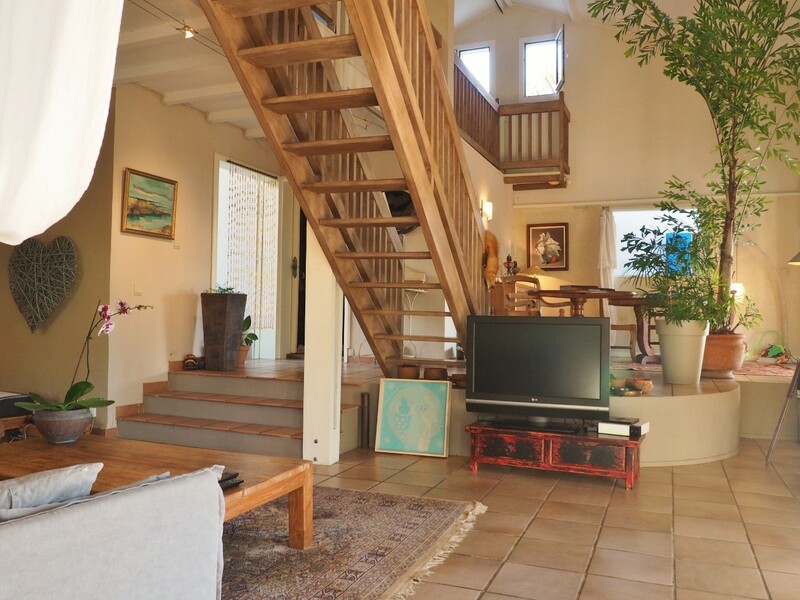 You will appreciate the spacious living room with TV, free internet access (WIFI), and a direct access to the terrace. 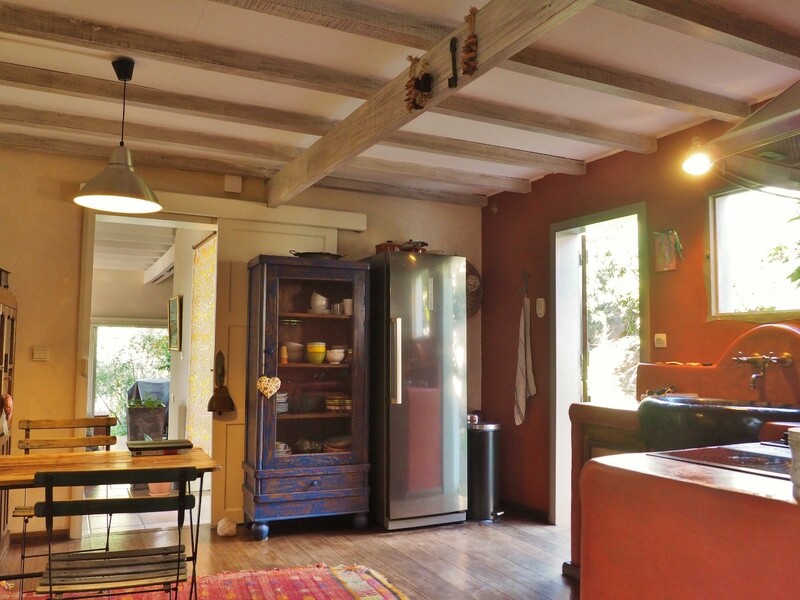 The kitchen is fully equipped (fridge, freezer, dishwasher, oven, microwave oven, coffee machine, induction hobs and gas cooker, toaster, kettle...). 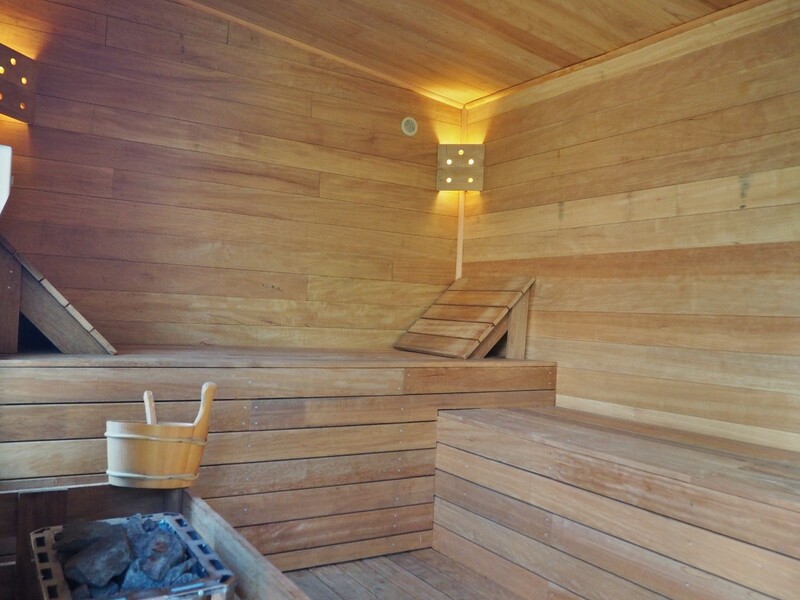 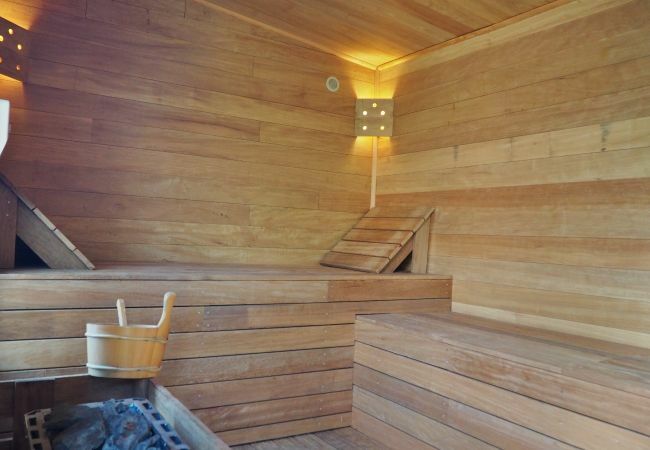 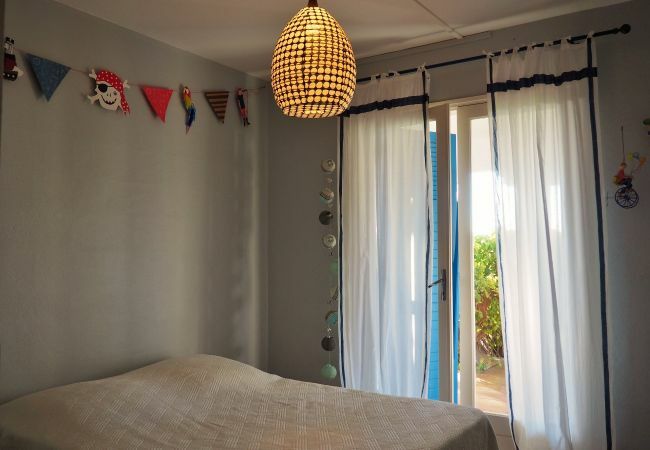 On the ground floor, there are 2 bedrooms with double bed and one bathroom with toilets. 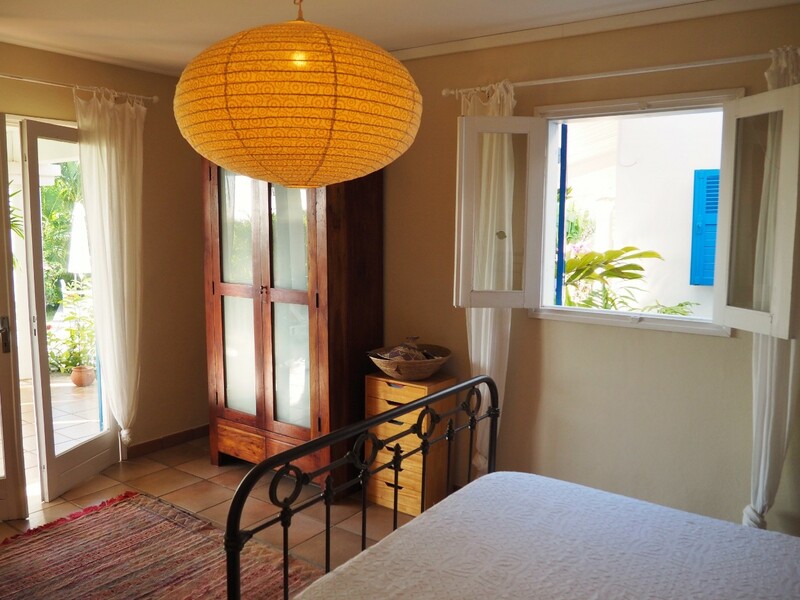 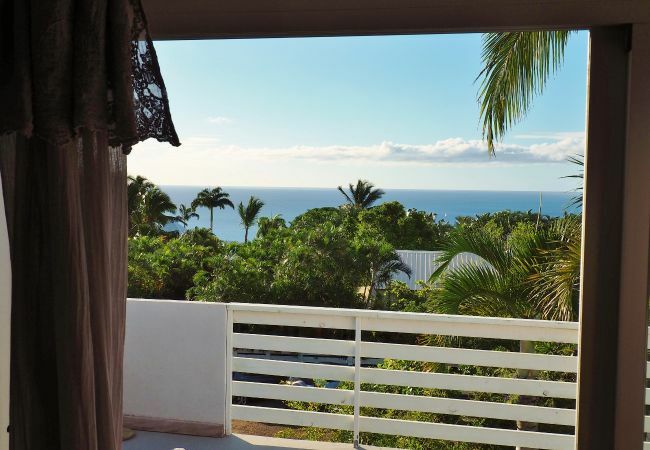 Upstairs, there is a bedroom with a double bed, a bathroom, toilets, and a large terrace overlooking the ocean. 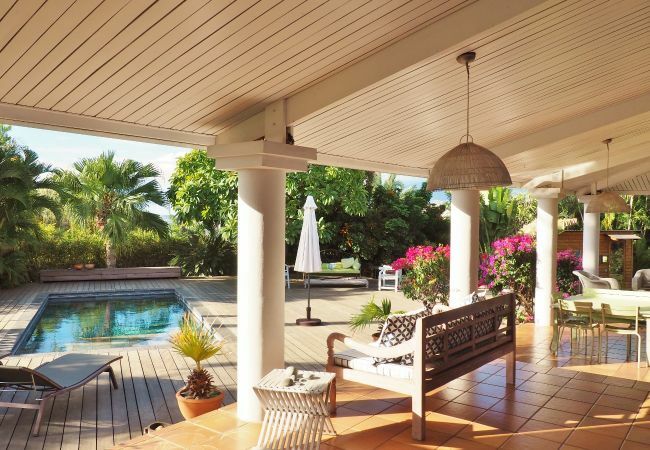 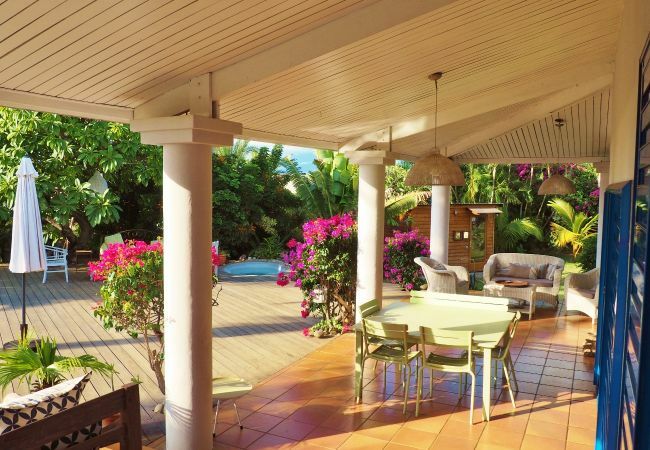 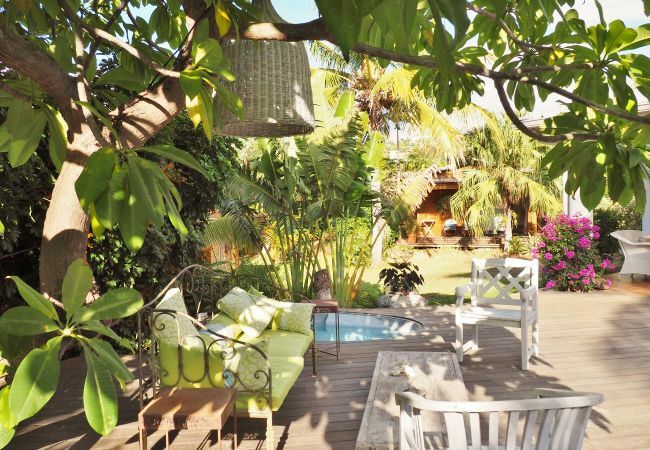 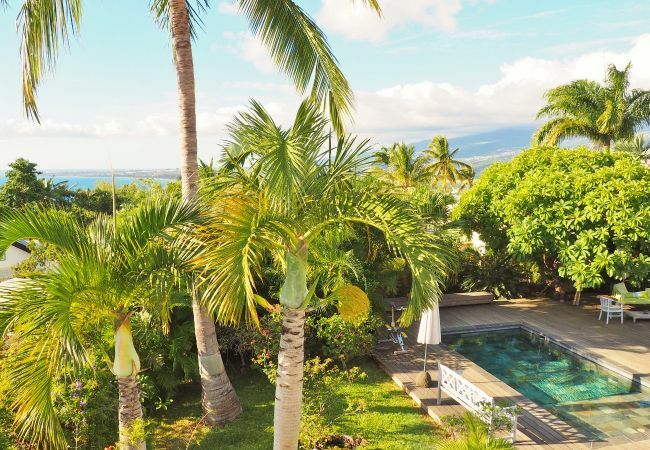 The villa with its lush green garden is in a quiet residential neighborhood, on the west coast, an area blessed with a micro-climate with more than 300 sunny days a year. 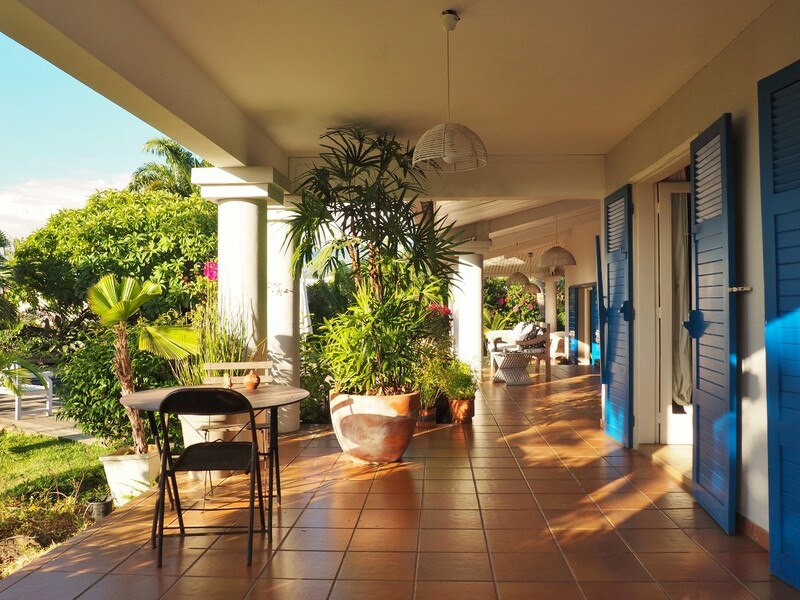 The proximity services (supermarket, bakery, and newsagent, pharmacy, ATM, gas station) are close to the villa (about 300 meters from the villa). 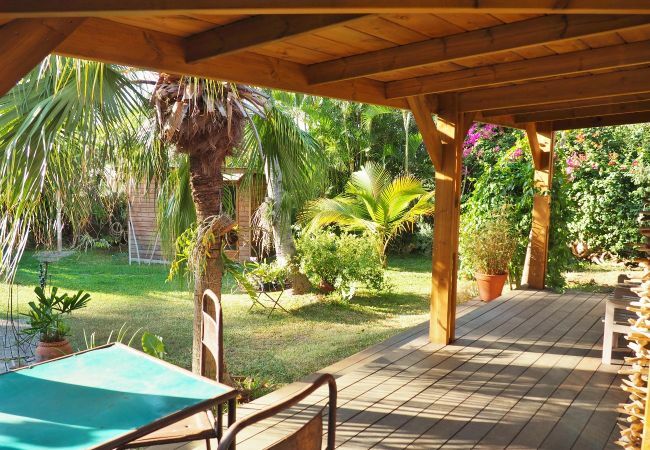 The shops and restaurants of Saint-Gilles-les-Bains are about 10 minutes away and the famous beach and restaurants of Boucan-Canot are about 10 minutes from the villa. 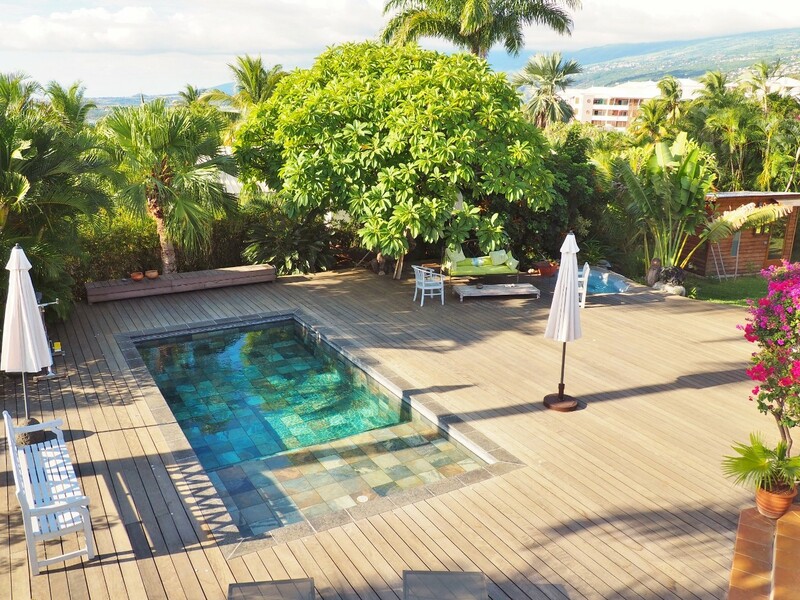 It takes about 15 minutes to get from the villa to the lagoon to dive with multicolored fishes. 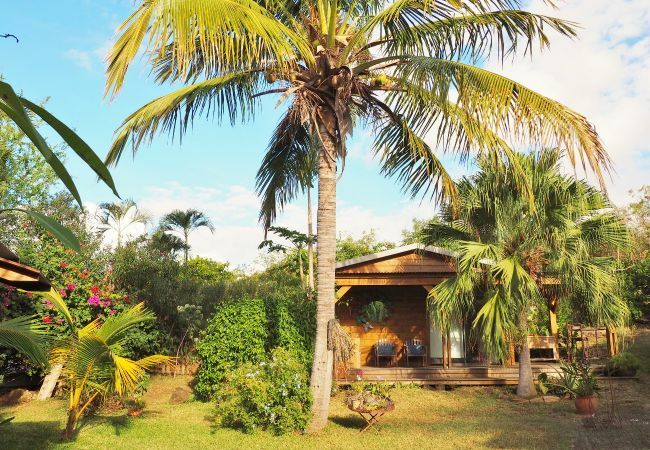 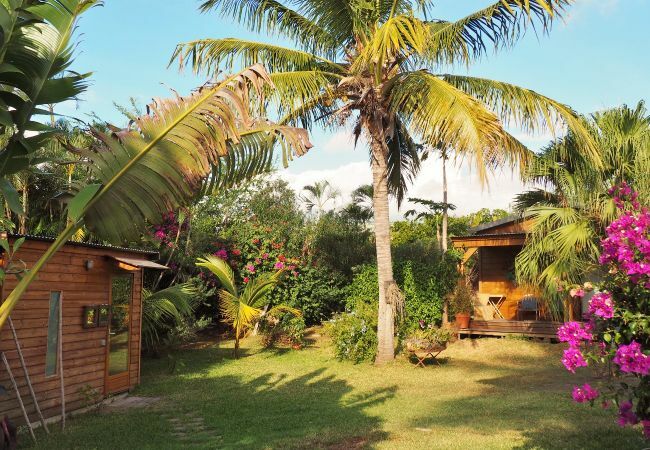 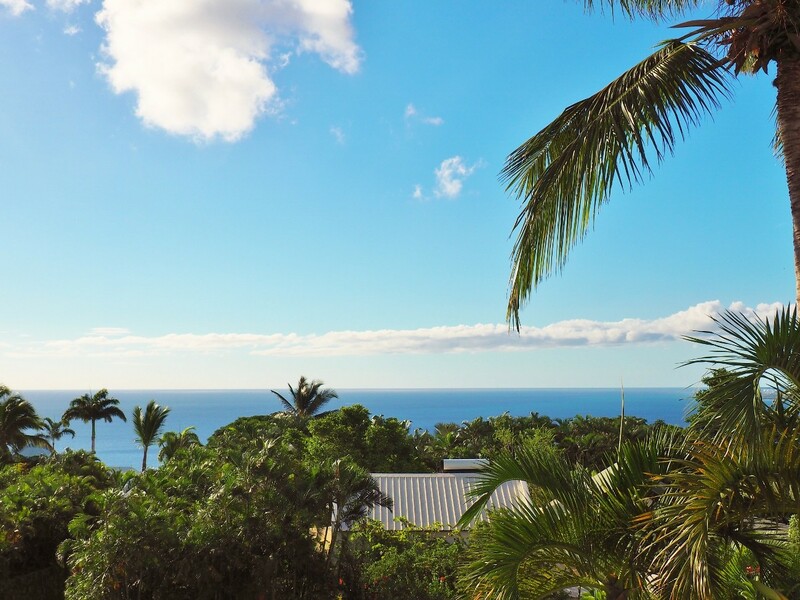 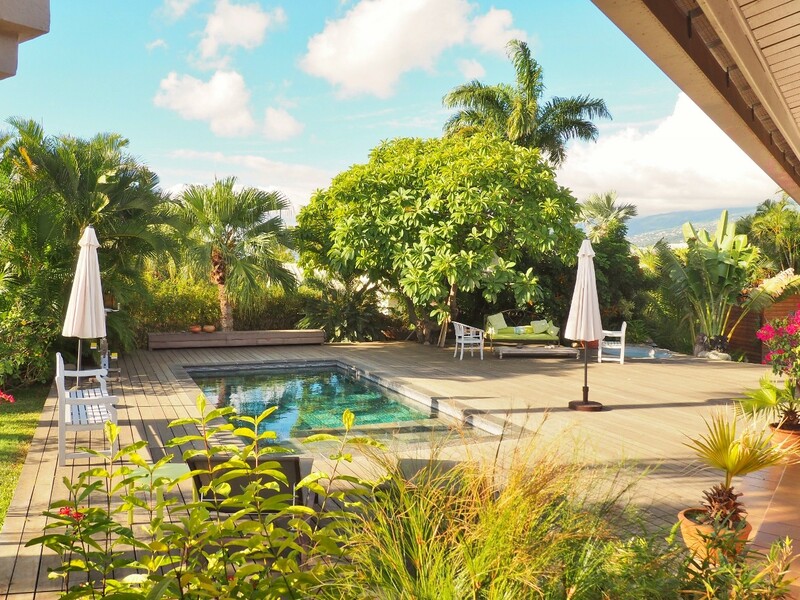 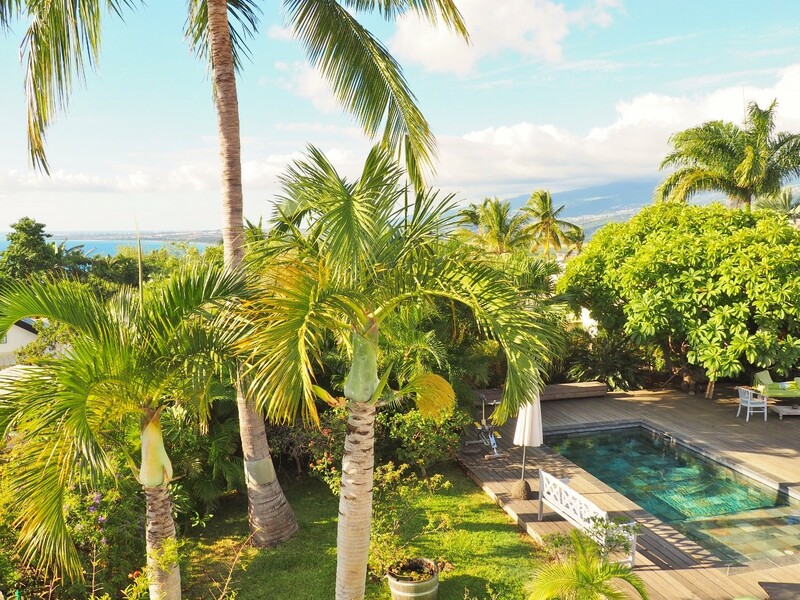 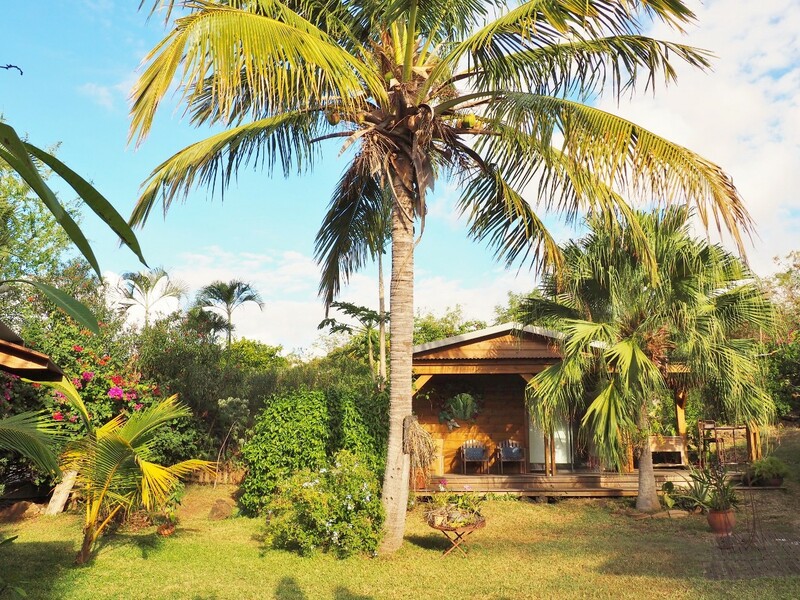 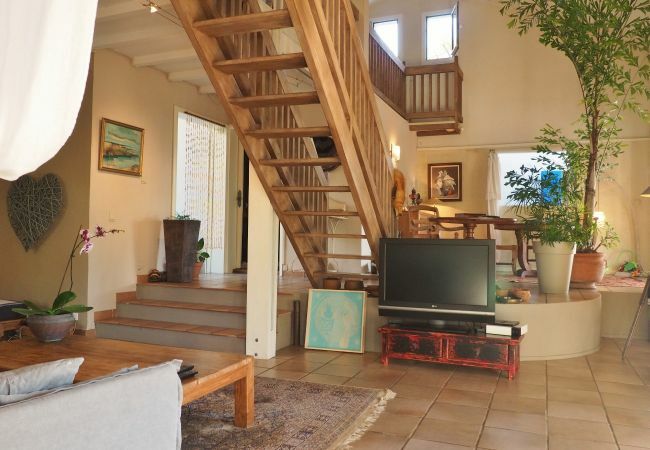 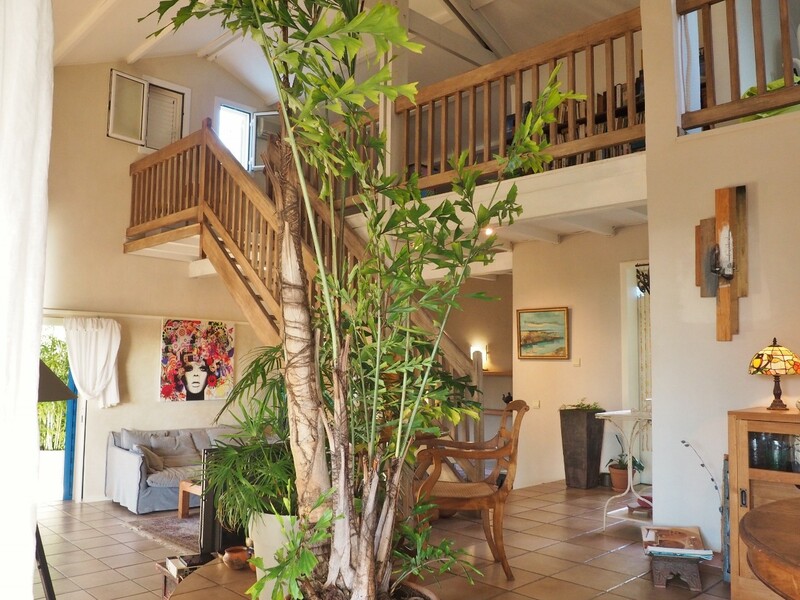 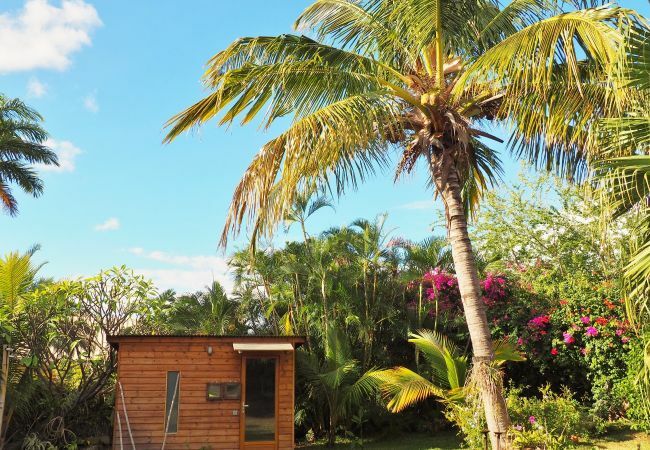 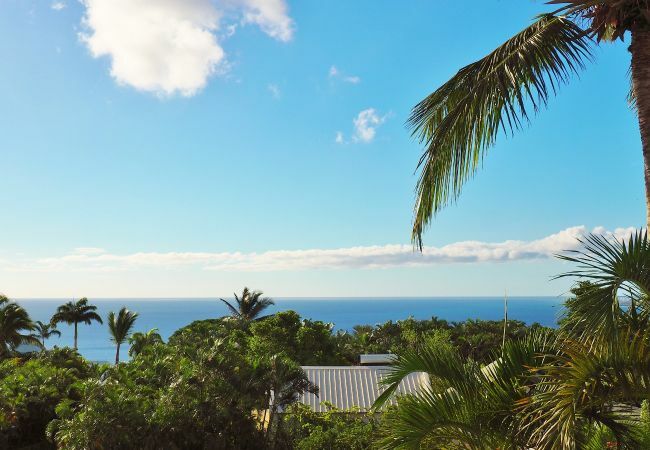 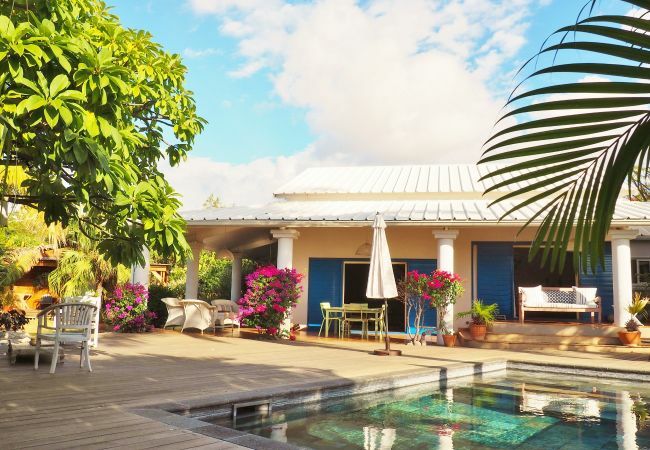 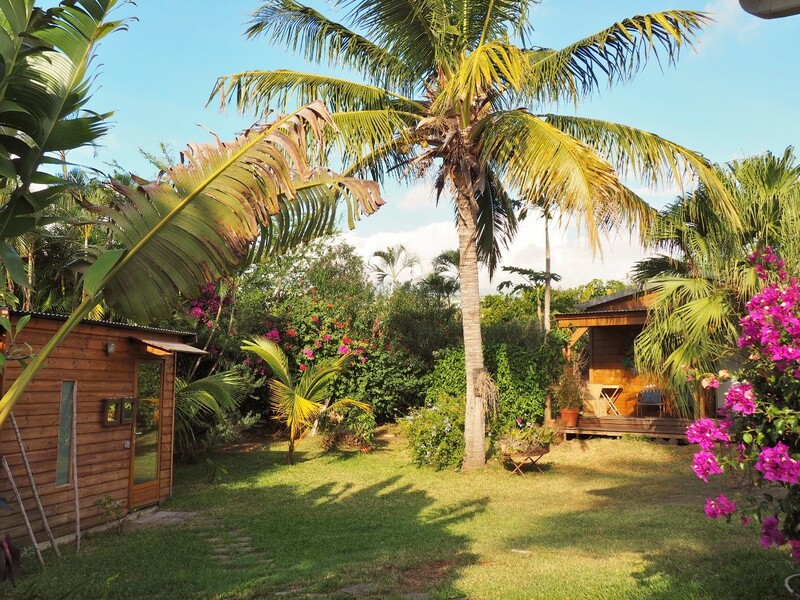 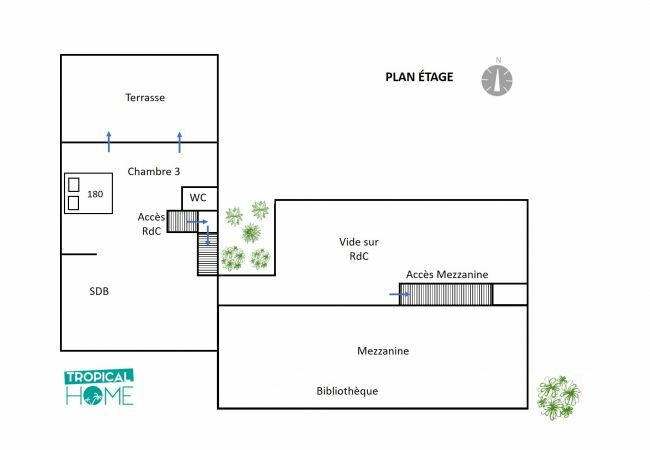 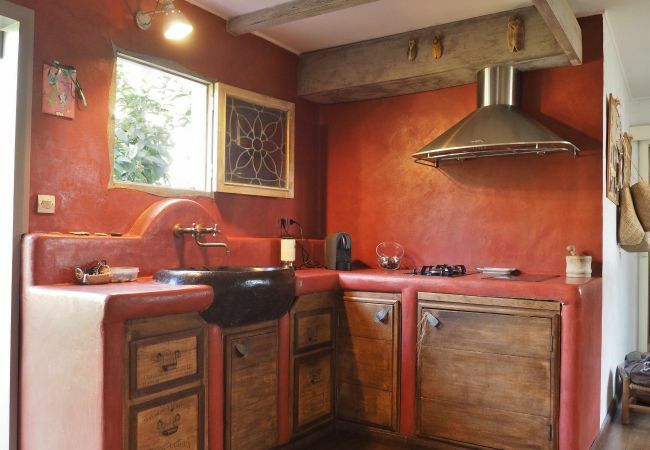 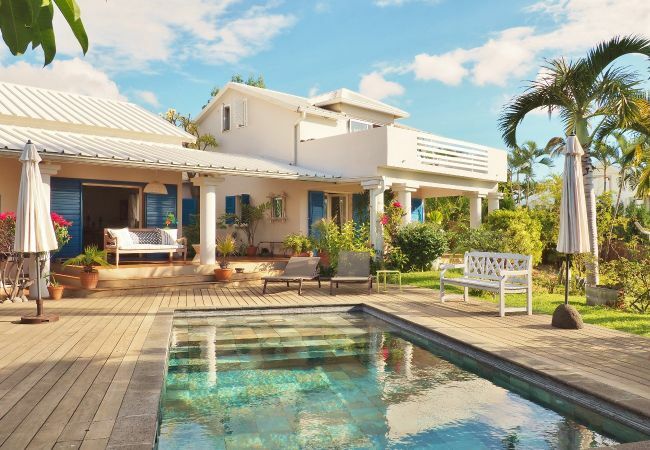 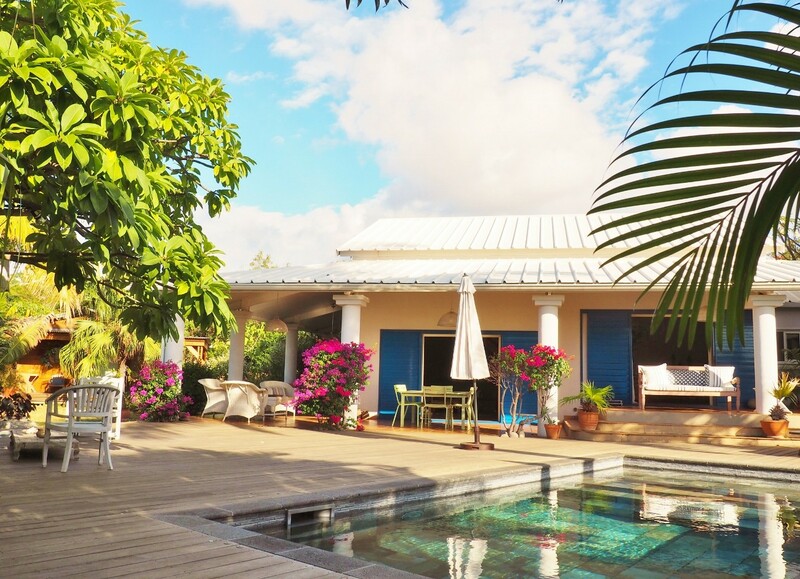 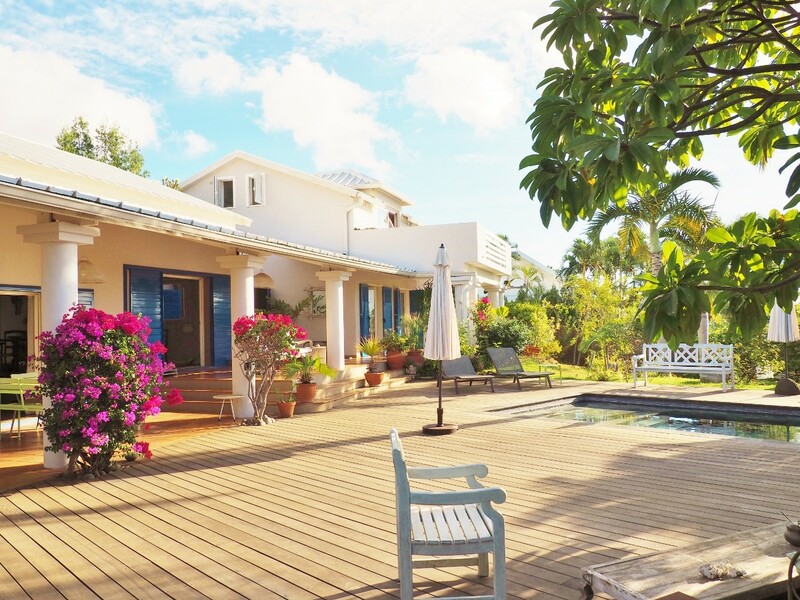 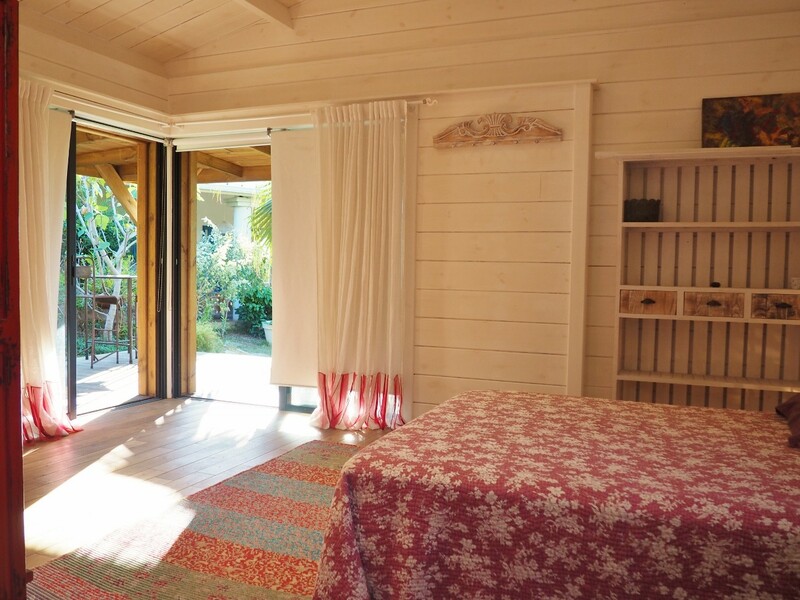 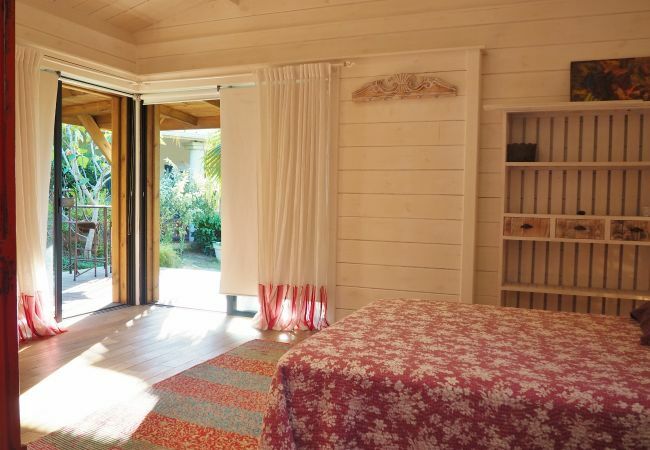 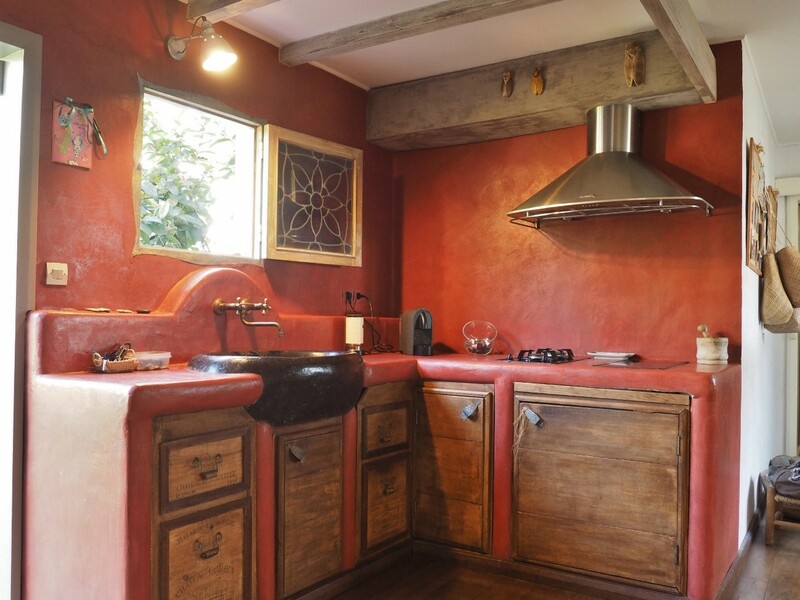 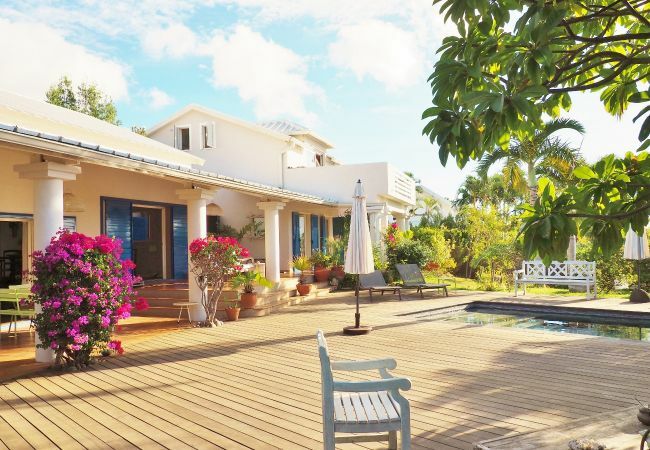 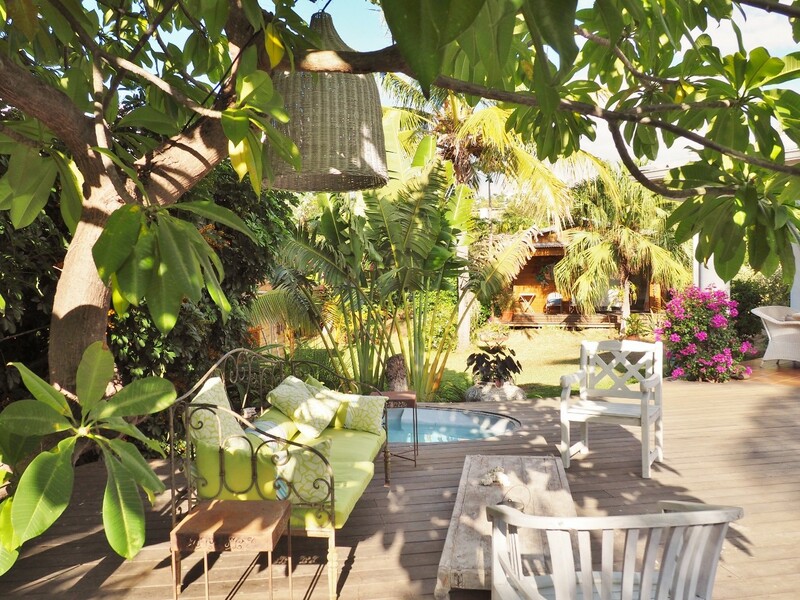 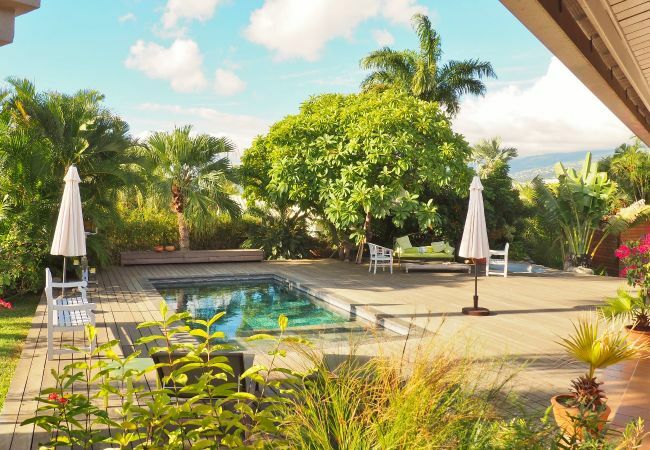 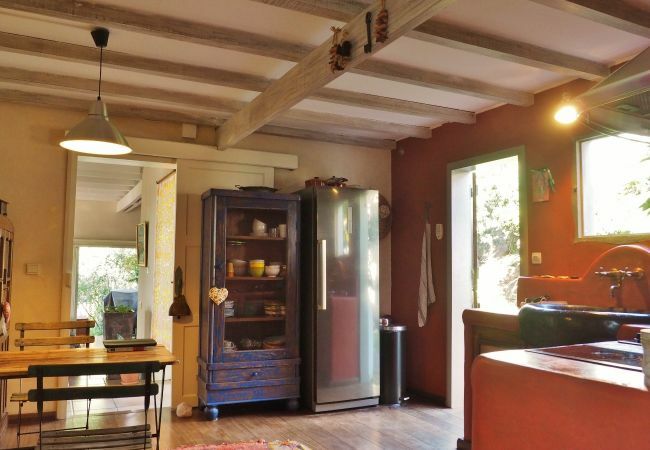 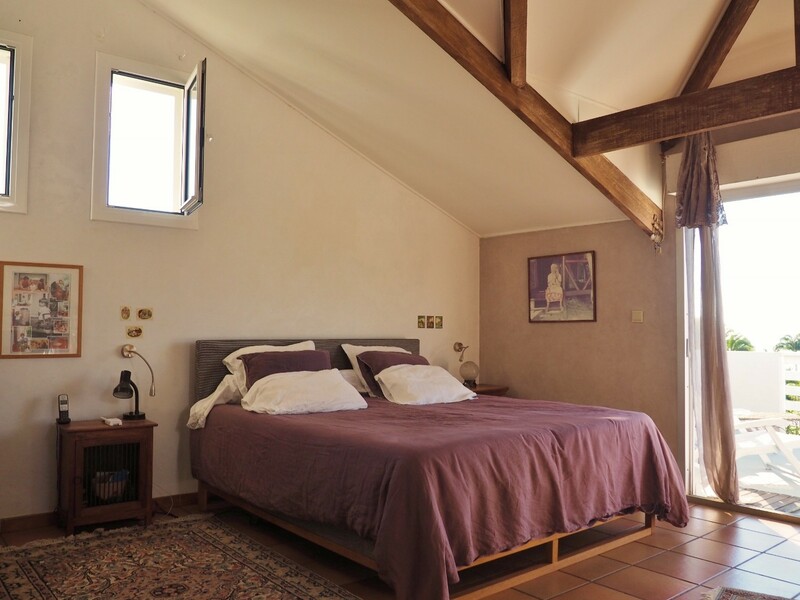 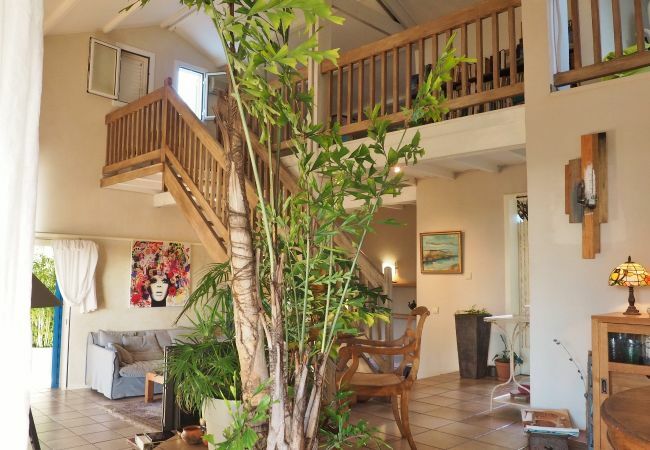 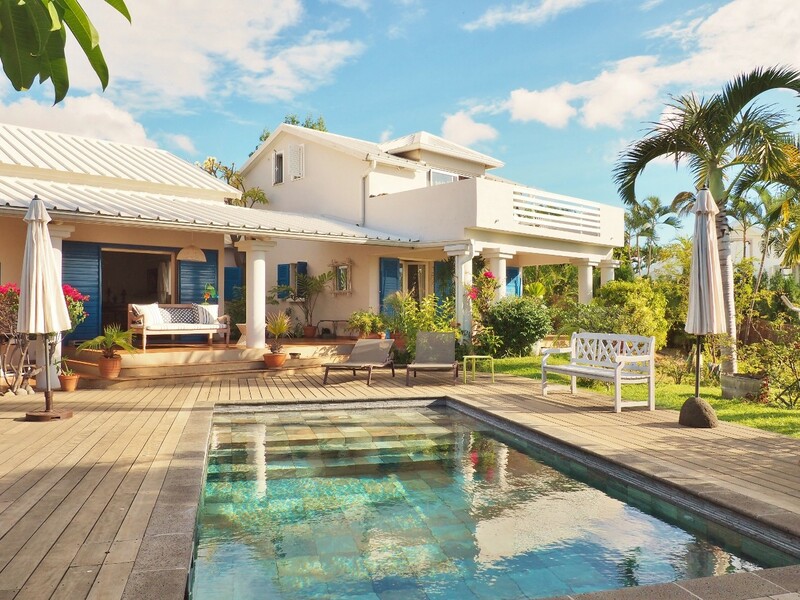 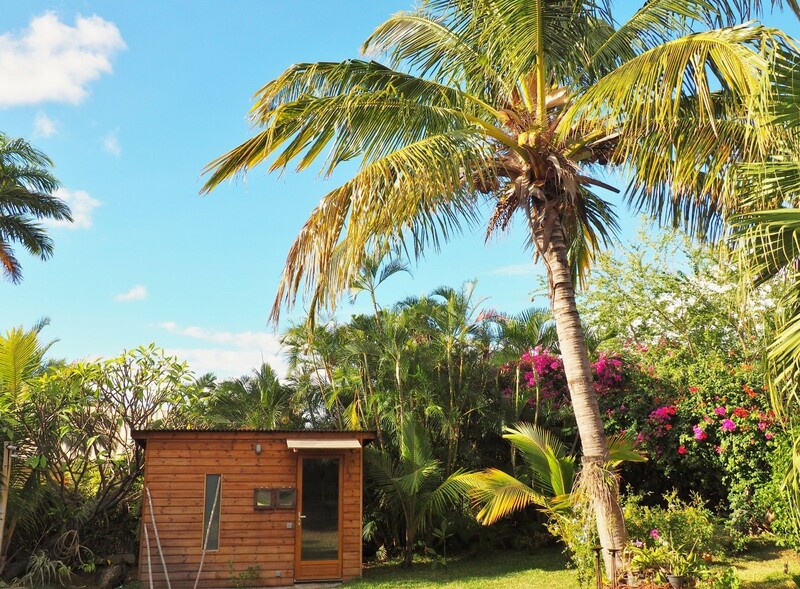 For your stay in Reunion Island, you will love your stay in the Villa Serenity, ideally located near all excursions on the island classed as a UNESCO World Heritage Site (Maïdo, three cirques - Mafate, Cilaos, Salazie - the volcano, waterfalls). 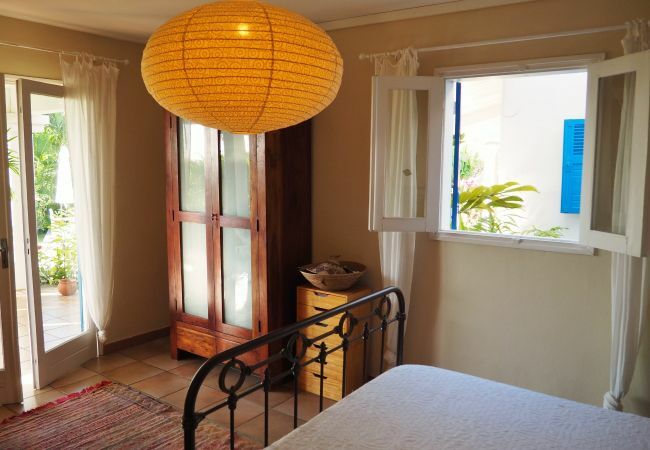 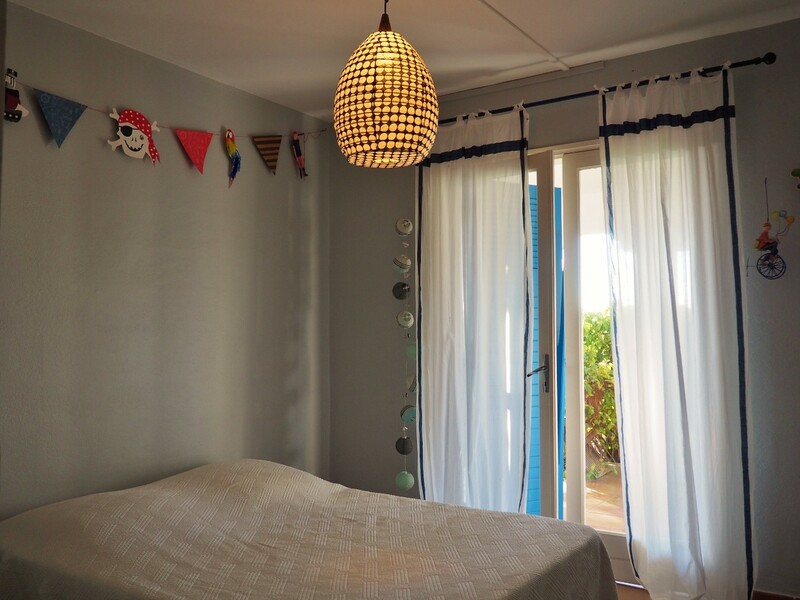 You can do many activities (paragliding, helicopter is about 7 minutes away from the villa, Bassin Bleu golf – about 15 minutes - hiking trails, mountain biking, deep-sea fishing, canyoning, boat trips ...).